Hello and welcome to another edition of the Secret Recipe Club! For the month of April, I was assigned Leandra’s blog, Love & Flour. Leandra lives in Charlotte, and claims to have a dual affiliation for/affliction of the Ohio State Buckeyes and the Florida Gators. My husband says this is absolutely impossible, but he is a diehard Buckeye so that’s to be expected I suppose. 🙂 I’ve long admired Leandra’s blog because of her lovely photography and creative recipes, so I was thrilled to have the opportunity to make something from her blog! I was quite torn between many delicious dishes like this unique Popcorn Bread, a lovely Sparkling Rosemary Grapefruit Soda, or a scrumptious-looking White Texas Sheet Cake. In the end, I went with ease and simplicity, but just because this recipe came together in about five minutes flat does NOT mean it is lacking in any way. 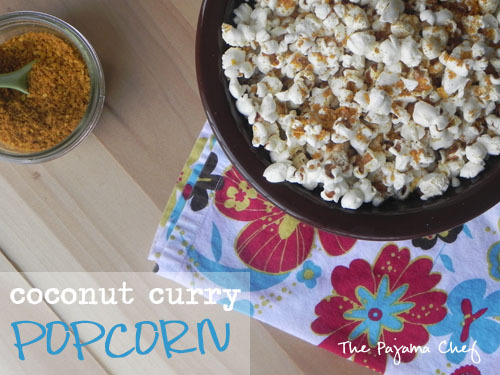 No, actually this Coconut Curry Popcorn has big flavor and has absolutely revolutionized my popcorn habit. Normally I’m a butter ‘n salt girl. 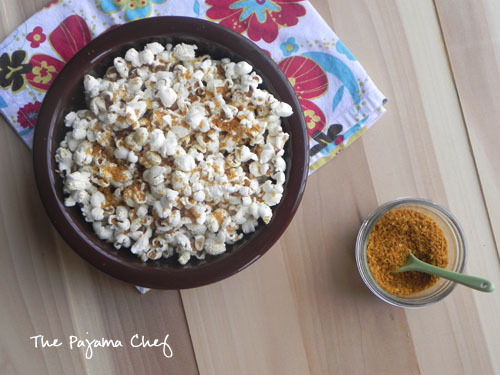 I pin all sorts of popcorn recipes but haven’t ever made any of them. 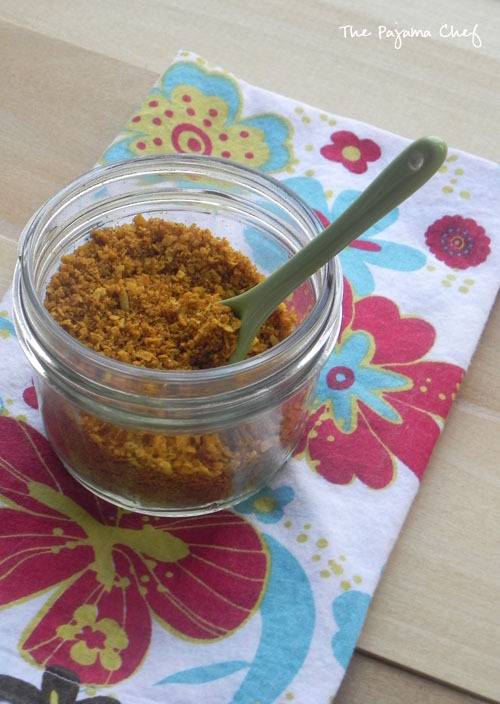 So making this popcorn seasoning was a step of faith… and truth be told, I was kind of SCARED to try it. How ridiculous is that? I love coconut and I love curry, but I think I was just terrified that I’d ruin a perfectly good batch of popcorn with a weird seasoning. To be fair, I have curried myself out in the past but I haven’t had any in awhile so I figured I’d be safe now. But Leandra described this popcorn in such a way that I absolutely HAD to give it a try. And I’m so glad I did. It’s everything good at once… salty, sweet, spicy. 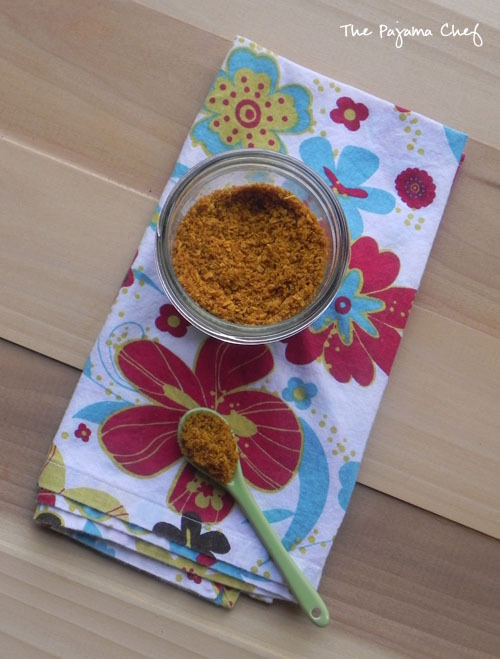 This seasoning certainly has a little bit of kick to it, but the sweetness and warmth from the sugar, coconut, cinnamon, and ginger provide an awesome balance that is way too addictive for my taste. I’m glad this recipe makes a lot [even after I cut it down from the original] so I can keep some in the cupboard for easy access every time a craving strikes. Combine all ingredients except popcorn in a food processor, then pulse until coconut flakes are broken down. Toss over popcorn, then store remaining seasoning in an airtight container. Yield: 1/2 cup popcorn seasoning. Be sure to check out all the other SRC recipes for the month at the link below!